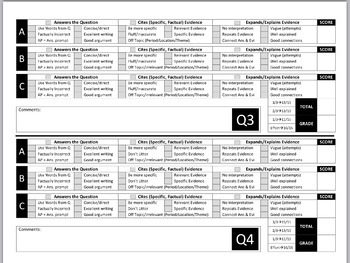 This series of 4 rubrics help provide quick and targeted feedback to AP World History students on their Short Answer Questions (SAQs). 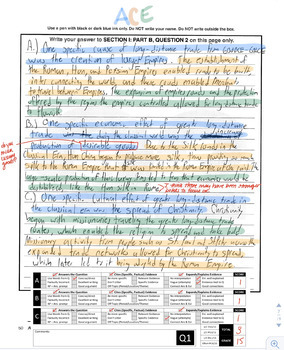 The rubric follows the ACE (answer - cite - explain) model for ensuring success on the SAQs, and help students to see any problem areas quickly. Side note: I do most of my writing grading on my iPad after scanning in essays/SAQs, etc. 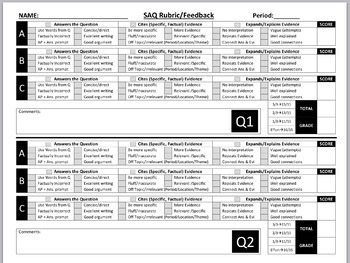 I find that inserting a picture of this rubric right onto their documents is a great way to grade quickly and to keep a digital portfolio.